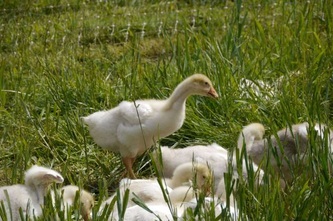 We are currently tending to our new flock of goslings. 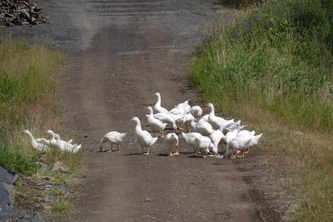 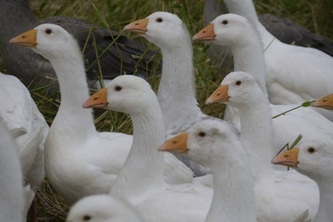 We anticipate harvesting our geese during the fall this year--check back with us then to purchase one. 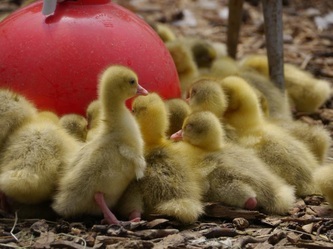 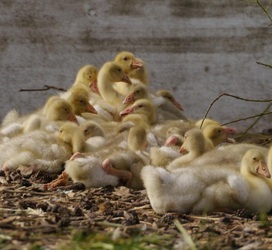 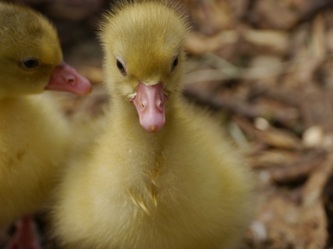 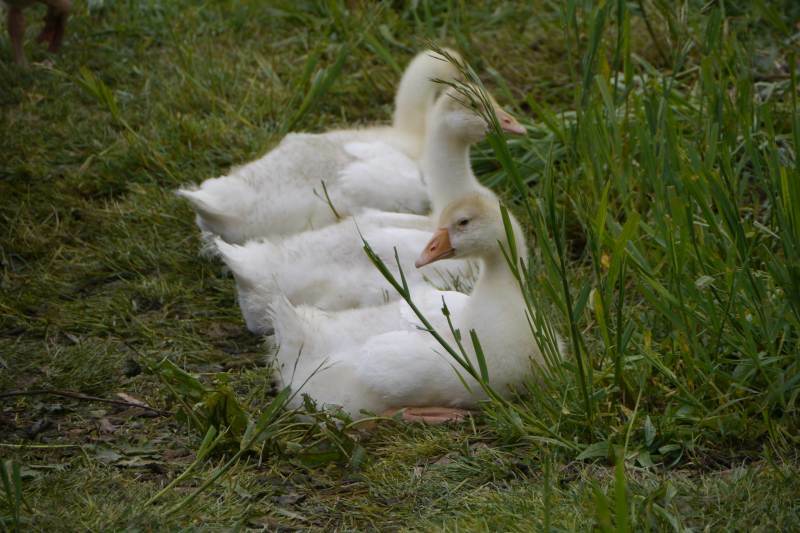 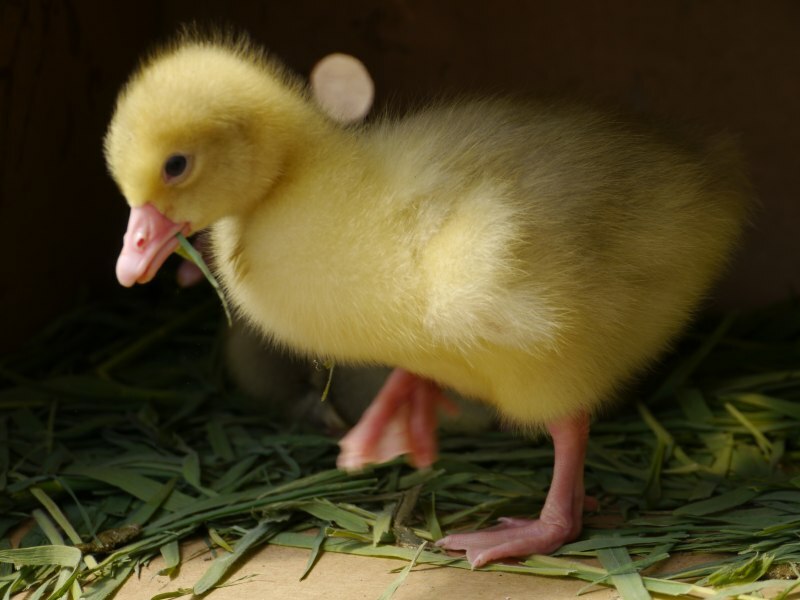 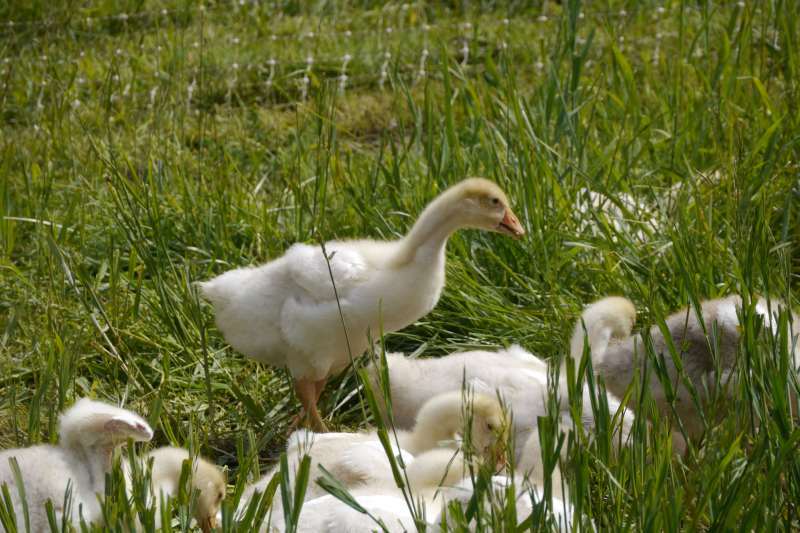 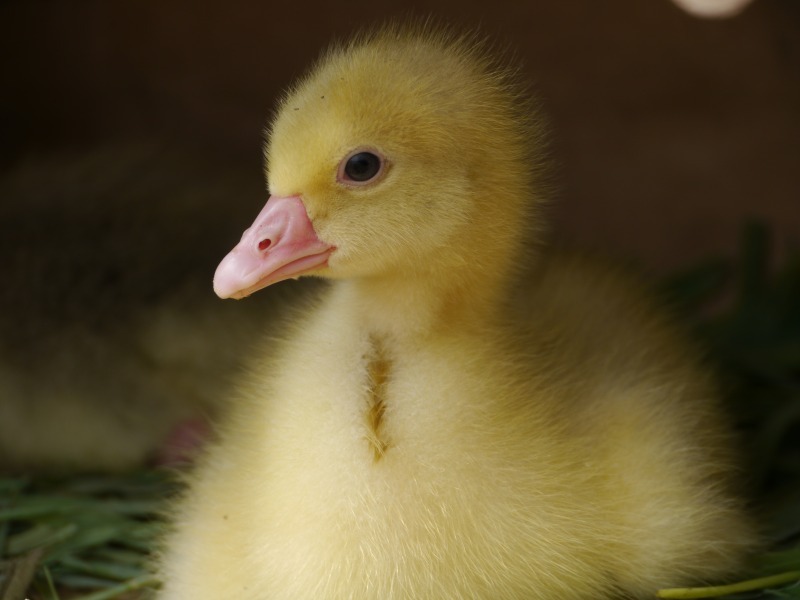 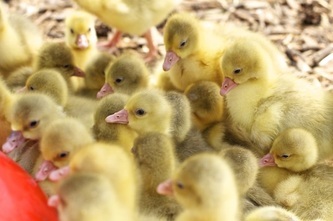 Our flock of fifty Emden geese arrived as tiny goslings in late April and have grown rapidly on luscious spring grass supplemented by a small ration of certified organic grain. 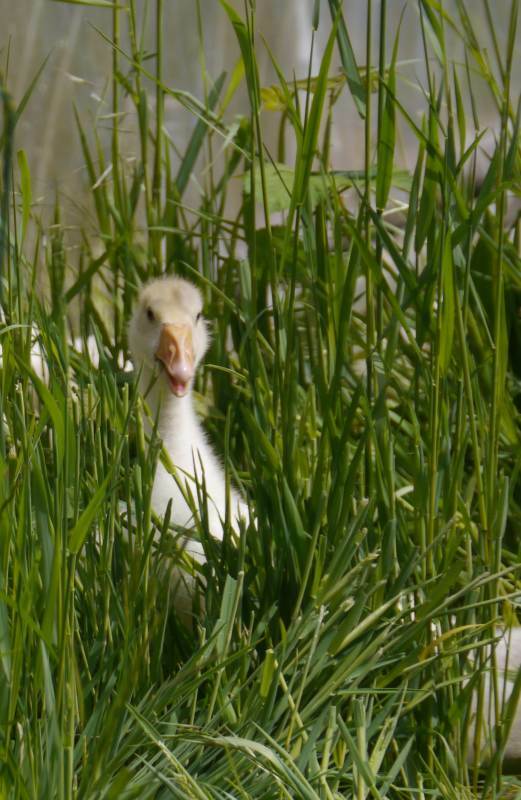 Like many farms in Oregon, wetter areas of our farm are plagued by an invasive perennial grass called "Reed Canarygrass" which crowds out native vegetation and is very difficult to control. 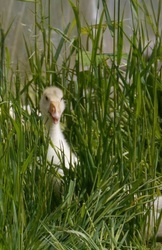 It so happens that this grass has excellent forage qualities and our geese absolutely love it! 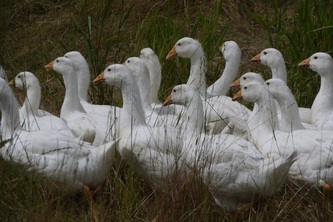 The geese devour the grass making room for native vegetation to magically re-appear. We let them free-range (with some restrictions since they really seem to love corn plants) and give them free access to water. 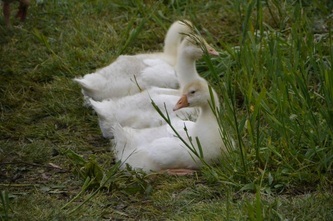 Their diet is supplemented with 100% organic whole and cracked grains during critical periods of their lives.